I’d been reading all about October’s imminent blood moon, but had no hopes of seeing it. And yet, by happenstance, I looked up last night and there it was! The lunar orb in all its vermillion glory. I ran for my telescope, but couldn’t set it up in time. The Nikon would have to suffice. 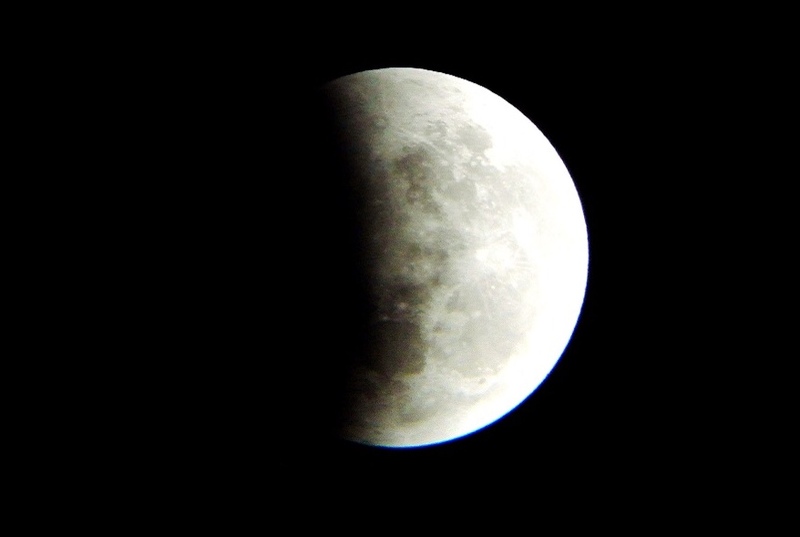 By the time I got my telescope act together, I was only able to capture the partial lunar eclipse. See below. But not to fret, there will be two more opportunities next year: 4 April and 28 September 2015.